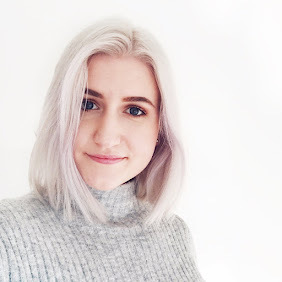 So another month has flown by, which means it's time to chat about the beauty highlights from the last weeks. March hasn't exactly been riveting in terms of my makeup wardrobe. The fact that I spent the majority of the month doing unpaid work, means I've been counting pennies and not been able to splurge on new bits to try. Nonetheless, there have definitely been a few standouts that definitely deserve a mention. So without further ado, here's the best in beauty from the month of March. Wet 'n Wild Photofocus Foundation - I love this foundation so much I actually wrote a full post on it recently. First off - the shade range is really really good. They go above and beyond the standard ten same-ish beige shades and actually carry a variety of undertones too. This is a medium coverage, satin foundation, that works fantastically at keeping me matte throughout the day. It's an absolute bargain considering the quality and I'm honestly already nearing the end of the bottle, which isn't surprising considering it's basically all I used all month. Will definitely be repurchasing this soon, as I don't want to be without it! NARS Sun Wash Diffusing Bronzer in Seaside* - I just posted a full review on this and although it was a favourite that entered my beauty stash slightly later in the month, the obsession is real and I couldn't not mention it. I haven't reached for any other bronzer since I started using this. The shade of it works really well on my skin tone and I love that it's one that you can build up slightly and really does give you that "diffused" kind of look. 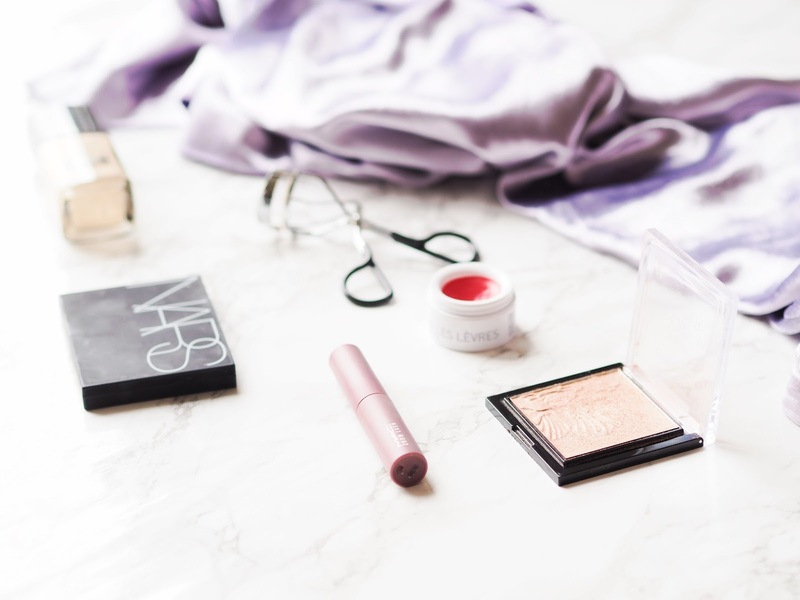 The finish is super natural on the skin and since my face has remained stubbornly pasty, despite the sun, it's a necessary addition to my beauty routine! Wet 'n Wild Megaglo Highlighting Powder in Precious Petals - This is one that's cropped up all over the blog over the last half year or so. I spent a week in the mountains recently (little photo post coming soon!) and this was in my travel makeup bag. It was, consequently, the only highlight I used and I completely fell back in love with it. The glow this gives is just unreal. Like, spot you from across the street unreal. You can, however, also use a lighter layer for a slightly more natural look. The peachy/champagne tone makes it super flattering and appropriate for an inner corner/brow bone highlight too. If you can get your hands on it, I really recommend picking this up! If I happen upon it again I'll be buying a backup! MAC Zoom Lash in Beets Me - Another one I wrote a whole post on, which you read here (this seems to be a bit of a trend in this post). I didn't think I'd be reaching for colourful mascara in my twenties, but here we are, mild quarter life crisis, purple lashes and all. In all seriousness, I think this is a great, fun alternative to black mascara and it's so subtle you honestly can't tell it's a "fun" colour at all. The fact that you can buy these in mini is an added bonus, you can let your colourful lash flag fly without the full financial commitment! Korres Lip Butter in Pomegranate - I promise I'll shut about this soon, but since this has been more or less the only thing I've worn on my lips all month, I couldn't not include it. I love love love these lip butters so much and have done for years. I won't harp on about this again, but if you're after a hydrating tinted balm that still really packs a decent punch in terms of pigment: look no further! 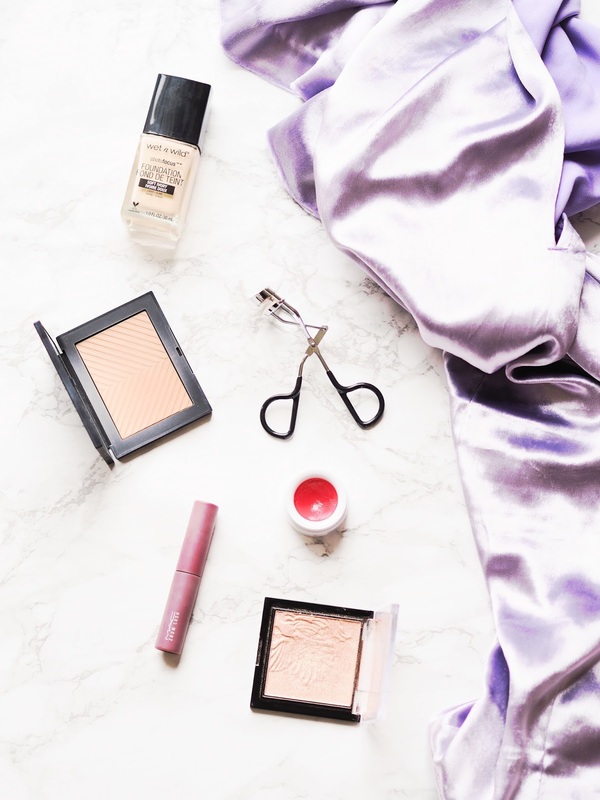 So there we have it, another month of beauty favourites rounded up. Like I said, nothing too extensive or crazy around these parts this month, but minimalism has somewhat been the theme these last few weeks! I have a feeling April will bring some more Spring-y picks! What were some of your favourites last month? Ooh I've never tried any of these products so it's lovely to be introduced to some nice new beauty bits. The NARS bronzer looks like a lovely shade. Love the Wet n Wild highlighters! I'm so sad I bought the Photofocus in the wrong shade, it sounds so good I might have to buy another one!